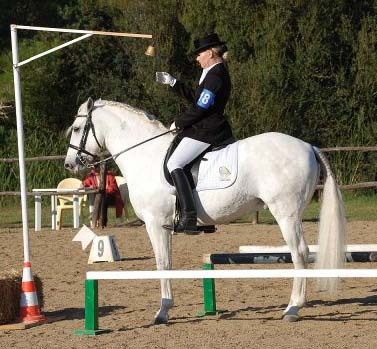 The first Swedish rider that toke part in a international Championships was Eva Eternell Hagen and her Swedish Warmblood Waggie in England 2007. They toke a 16 place of 25 in their international debut. 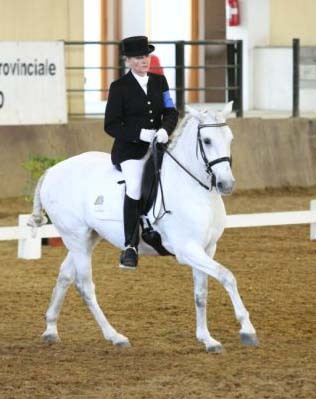 The year after that - 2008 - six Swedish riders toke part in the European Championships in Italy. For team: Cecilia Hansson - Ruby Glow, Paulo Bastos - Liso, Lena B¸rger- Unico and Julia Witzell- Qualito. 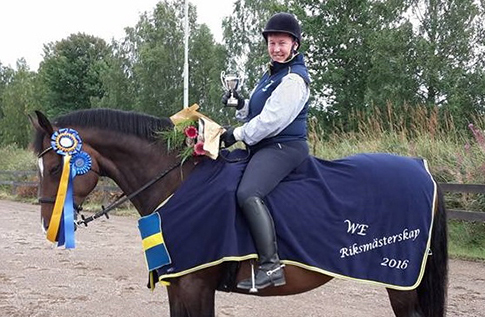 In individual: Anna Eriksson - Nascente and Eva Eternell Hagen - that this time was riding the Italian horse Tornado. 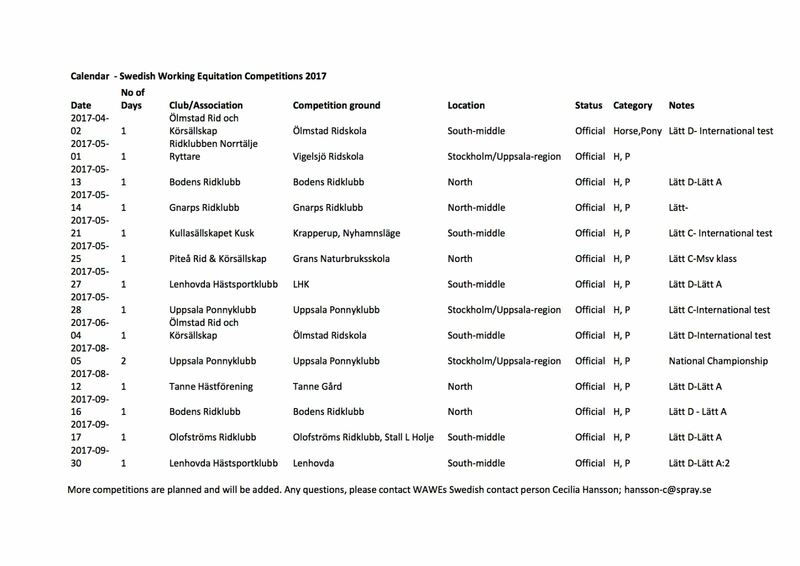 The Swedish team toke place four of six countries. 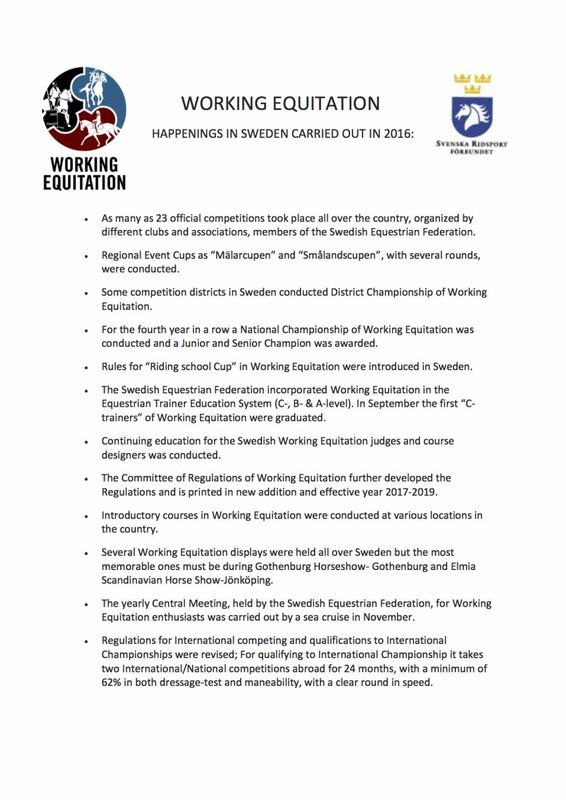 Since January 2009 working equitation is a part of the The Swedish Equestrian Federation for a testperiod of two years. 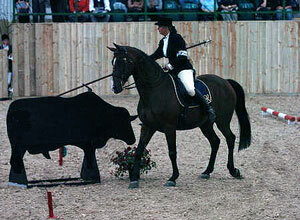 In Sweden the tradition of riding goes by the riding schools. 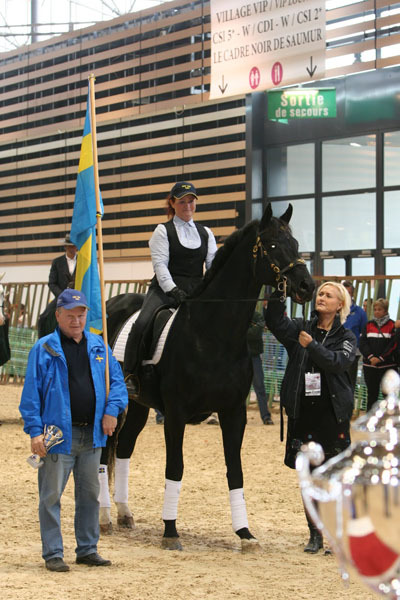 In cooperation with the The Swedish Equestrian Federation the book-club Pollux started "The Pollux-Cup of Working Equitation". This cup goes all over Sweden. 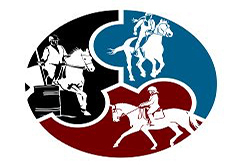 970 riding associations got invited. 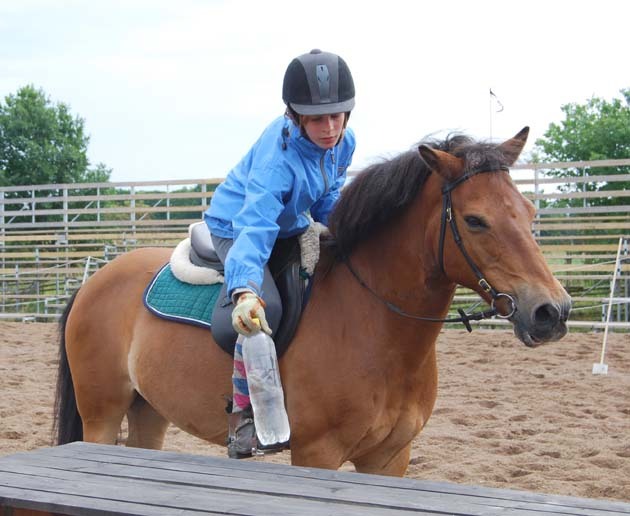 The cup is special ment to make the riding students to start with WE and the level is for debutants.